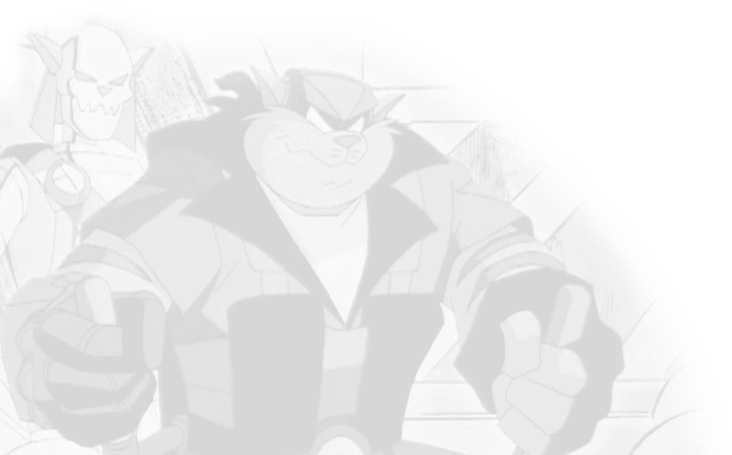 SWAT Kats is a trademark of Hanna-Barbera. Anything else with a trademark is owned by that trademark. Leo the Patriotic Lion is my character. Having beaten Jake in a karate match, Chance was now beating his taiko drums, looking proud in his white uniform, and feeling dedicated to his drumming. Jake, in his red uniform, felt the same way. They were practicing with the rest of Konway’s Korps, looking at Konway’s latest composition for a mix of drums, which he entitled, “Drumming Fever.” Konway led the group from his set of timpani, with Dark Kat banging his military bass drum, and the Sergeant beating his military snare drum. Fango kept tempo with his drum set while Commander Feral played a contemporary marching snare, and Lenny Ringtail took the big concert bass drum. Dark T-Bone had a marching bass drum, Dark Razor used a set of tenor drums, and Lt. Commander Steele added splash with a pair of cymbals. This also marked the first time mixed clothing was used based on the percussion being played, although all appeared barefoot (as they always did when drumming), and Dark Kat was in his normal outfit. Konway wore a suit and tie, the Sergeant wore his normal police uniform (as did Steele), and Commander Feral and Lenny wore typical drum major’s uniforms (Feral’s was red, and Lenny’s was blue). The Dark SWAT Kats wore their typical flight uniforms. Hard Drive wore a blue judo outfit with a black belt. The second time they practiced this piece, along with others, everyone was wearing martial arts uniforms. They then practiced an all taiko drumming piece, several patriotic pieces, modern drumline cadences, and the others took a rest to listen to the official SWAT Kats drum jam piece composed by Chance. He played a modern marching snare while Jake kept tempo on his drum set. Chance put his drum down and stood at attention next to Jake. Using their U.S. Army Hellcat-style snare drums (and Dark Kat with his bass drum), the Dark SWAT Kats, the Sergeant, and Feral began pounding out the cadences made famous by the Hellcats: “Connecticut half time,” “Spare Time,” “Willie Weaver,” “Road to Boston,” and ending with “Fancy 6/8.” All the while, Chance and Jake kept their march in perfect step and synchronization, and they saluted on the last beat as they got the cue to halt. The group all proceeded to don their Hellcat-style uniforms but remain barefoot (with the exception of Dark Kat, who had been let off the hook). They walked outside, began drumming, and marching to their beat as they marched down the street. This time, Konway, Feral, and Lenny had their bugles and fifes, and alternated on several pieces. Otherwise, only the drummers played. Konway shouted several commands to keep up with the music. Not long after the group finished playing “The British Grenadiers” did they run into Col. Parkinson, the Sergeant’s fellow drummer and drum major that led his own ensembles. “Yes, sir,” said Parkinson, saluting, then holding his mace in the proper manner and blowing his whistle. The group again marched in perfect step, but this time only let Dark Kat beat out the foundation on his bass drum. Hard Drive, also carrying a bass drum, held his mallets in the standard position used when not playing, but still marched. “Hey! Do you smell something?” Fango spoke up. The group stealthily crept along the trail. They followed the prints until the end, which led them right into an alley. “Ever had to deal with any of them, Parkinson?” asked Feral. “If not, it has to be another of his gangsters,” said the Sergeant, unaware Bully was hiding in the alley. “Who said that?” Fango exclaimed. “How’d you know it was me even though I am in my uniform as a soldier of Konway’s Korps?” Feral asked. At that moment, a squad car arrived with two other Enforcers to take Arider to jail. 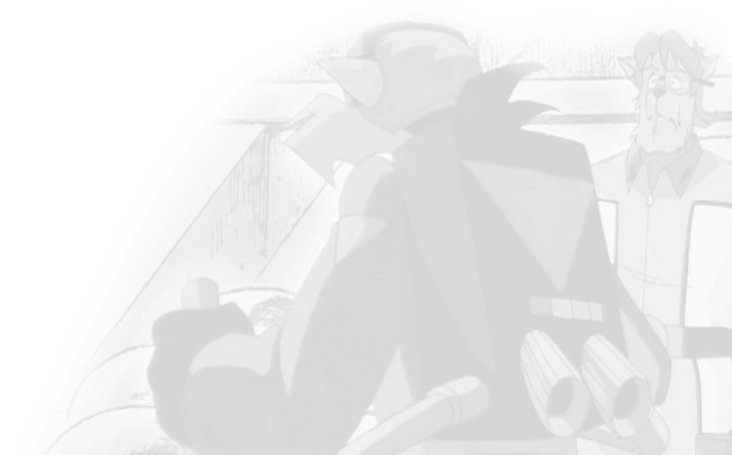 Back at the hangar, while the other members continued to play their instruments and march in perfect step (with Konway, Lenny, and Dark Kat now marching with rifles to the beating of the drums from the others), Feral spoke to Arider over the telephone to ask some more questions. “No, it doesn’t.” Feral hung up the phone and marched in perfect time back to the other room, where he picked up his own rifle and joined in the marching.